On this site you can look up all about the 13 colonies. 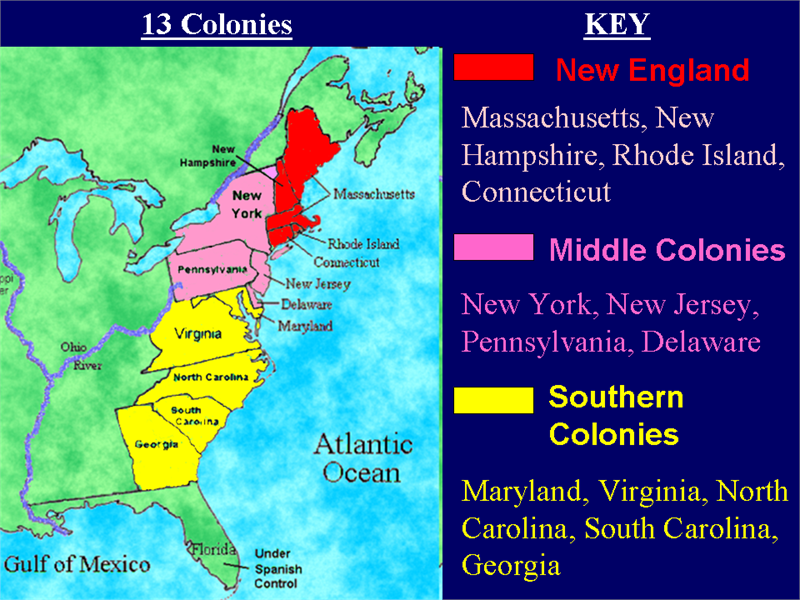 The 13 colonies are made up of three different parts, New England, Middle Colonies, and Southern Colonies. To find out more about these individual sections, click on the header at the top that you would like to know more about.